This is yet another post about Maddie Spohr. Heather has taken thousands of pictures of sweet Maddie and shared them on flickr. I took over 300 of those pictures and did a photo mosaic. Give it just a minute to load…it’s a very big file. then click on the enlarged version to see the little pictures. 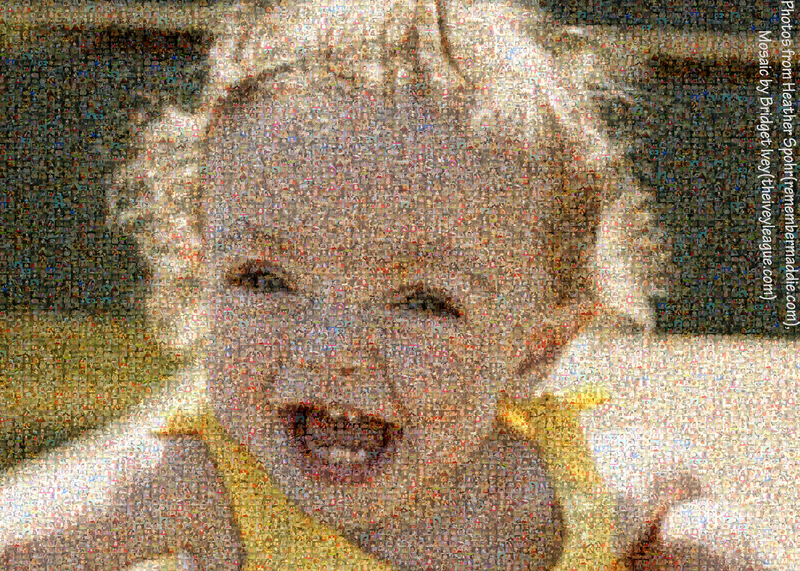 Want a photo mosaic of your own? Want to help raise more money for Mike and Heather? Click here! incredible and beautiful tribute to Maddie! OH MY GOSH.. That is so beautiful! You are amazing. What a dear friend you are to their family. That is really incredible! My heart has broken for this family, also, even though I only know of them through your site.